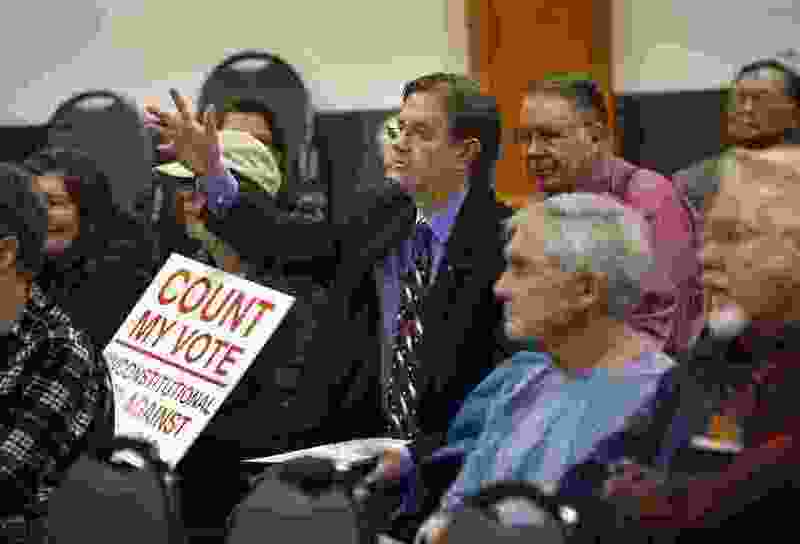 (Scott Sommerdorf | Tribune file photo) Former Utah Rep. Fred Cox tries to get recognized in order to ask a question during the Count My Vote public hearing at the Whitmore Library in Cottonwood Heights. The Count My Vote ballot initiative seeks to select party nominees through a direct primary, in addition to the traditional caucus-convention system, Friday, October 27, 2017. They may be on opposite sides of the political fence. But the groups that for the past year pushed ballot initiatives — or tried to block them — now agree on one thing: The Utah law governing these voter-led campaigns needs a major overhaul. “It’s a significantly higher burden to get on the ballot here than almost anywhere in the country,” says DJ Schanz, director of the Utah Patients Coalition, which put the medical marijuana initiative on the ballot. 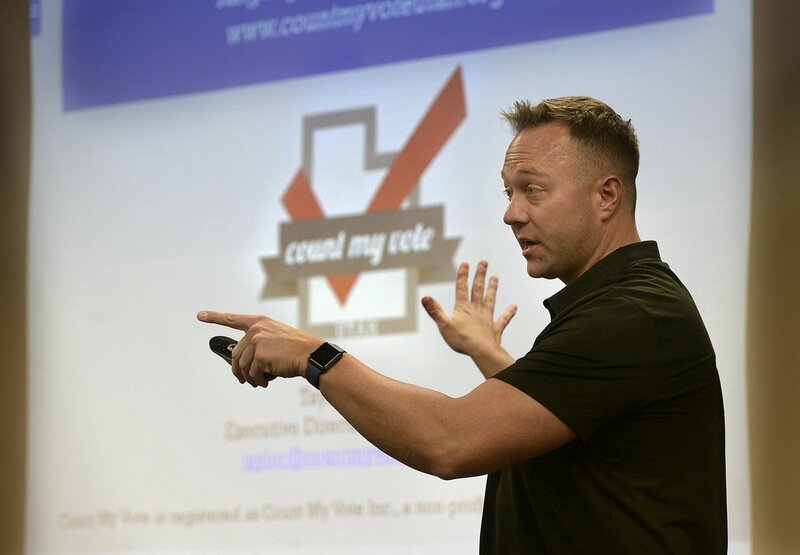 “It is so onerous and so difficult right now that it is constitutionally problematic” by essentially blocking Utah voters’ right to legislate by initiative, says Taylor Morgan, executive director of Count My Vote. That group just missed ballot qualification for its proposal on affirming current law allowing candidates to be in a primary by gathering signatures. It is planning a legal challenge to try to make it on the ballot. The law is disparaged even by the group that torpedoed Count My Vote by persuading enough signers to withdraw their names. “Our biggest concern is lack of accountability and protection from voter fraud,” says Brandon Beckham, director of Keep My Voice. Among reforms suggested: lowering the number of signatures required; making it tougher for signers to remove names from petitions; moving to an online system to gather signatures and to help avoid disputes; and maybe stopping the Legislature’s current ability to change or discard initiatives that do pass. To qualify for the Utah ballot, initiative supporters must gather signatures equal to 10 percent of the votes cast in the most recent presidential election in 26 of the state’s 29 Senate districts. Currently, that is a minimum of about 113,000 signatures statewide. This requirement is among the toughest in the 24 states that allow initiatives by petition, according to data collected by the National Conference of State Legislatures. Only Wyoming requires a higher percentage, 15 percent. North Dakota is the least restrictive, requiring 2 percent. Such data prompted Richard Davis, chairman of the new United Utah Party, to call for the state to lower its requirement to 5 percent. At least eight other states use that or lower percentages. “The Legislature has set the bar too high for initiatives,” he says. Utah also complicates matters by requiring that the 10 percent threshold be met in 26 of its 29 state Senate districts. No other state has such tough rules. The highest elsewhere is two-thirds of legislative districts. Many states have no such geographic requirements at all. Schanz says his medical marijuana initiative had to gather more than 200,000 signatures to ensure the district-by-district requirement was met, far beyond the 113,000 that would have been required without the geographic quotas. 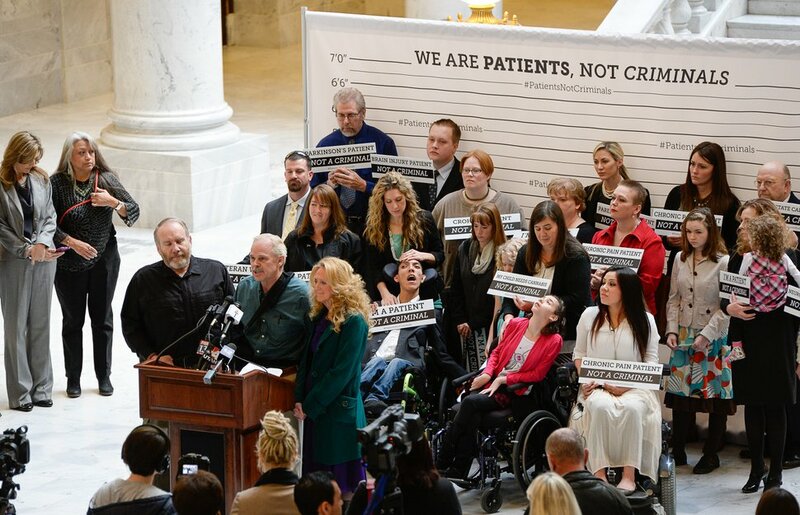 Francisco Kjolseth | The Salt Lake Tribune District Attorney Sim Gill holds a news conference at the Utah Capitol to announce a new patient initiative supporting medical cannabis as patients relay their difficult stories. Medical cannabis patients, each representing a different condition covered under Sen. Mark Madsen's bill, openly admit having violated Utah's marijuana laws out of medical necessity. Gill is advocating in support of changing policy to ensure that patients are not treated as criminals. That is unfair, he says, and perhaps unconstitutional. Meanwhile, Davis suggests dropping the district-by-district requirement to two-thirds of all districts (19), matching the most restrictive standards in other states. Not everyone is in favor of significantly easing signature requirements. Jeff Wright, co-chairman of the Better Boundaries drive that would create an independent commission to redraw political boundaries, is among those who say it would be unwise to make it too easy to get on the ballot. Trent Nelson | The Salt Lake Tribune Jeff Wright at a Utah Department of Alcoholic Beverage Control Commission meeting on Tuesday, Oct. 27, 2009, in Salt Lake City. “We don’t want to become California,” which sees dozens of ballot initiatives. He says standards should be possible to achieve but difficult enough to ensure initiatives are a sort of last resort used only when the Legislature refuses to listen to the public. Beckham with Keep My Voice wants to keep the current high signature threshold. “It is too easy now, to be frank,” he says — even though his group failed to gather enough signatures on its own initiative to qualify. He says that was because it started too late, only two months before the deadline. “Most people don’t pay attention to what’s going on, so they sign things they shouldn’t,” says Beckham, adding his group found thousands of people who said they had no idea they signed the Count My Vote petition and thought they were signing to put Mitt Romney on the ballot. “Any group can come in and spend $500,000 to $1 million and put whatever they want on the ballot,” he says. So he argues requirements should remain high, with additional safeguards to help Utahns realize what they may be signing. Some complain that the current system is too easy to manipulate by those seeking to kill an initiative before it reaches the ballot by waging a targeted signature-removal campaign in one or two Senate districts. (Scott Sommerdorf | The Salt Lake Tribune) Taylor Morgan of Count My Vote spoke at a public hearing at the Whitmore Library in Cottonwood Heights, Friday, Oct. 27, 2017. The Count My Vote ballot initiative seeks to select party nominees through a direct primary, in addition to the traditional caucus-convention system. Also, opponents came within 104 names in two Senate districts of knocking off the medical marijuana initiative. “The notion that initiative opponents would have an extra month to remove signatures — and in some cases only have to remove a few hundred to disqualify hundreds of thousands of signatures — does not make the process simple,” Schanz says. Steve Griffin | The Salt Lake Tribune Amanda Ellis-Graham was diagnosed with MS about 20 years ago and struggled for a long time on the numerous prescription medications she had to take. She was having vision and hearing problems, terrible vertigo and her body would go numb. 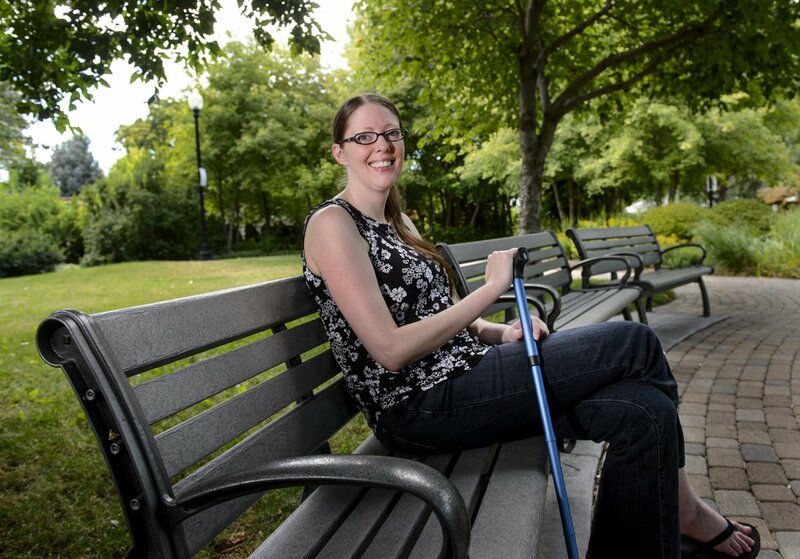 When she tried medical marijuana, everything changed and she did much better. So she strongly supports the ballot initiative, as do 77 percent of people polled in our most recent poll. She was photographed in a neighborhood park in Salt Lake City Friday, July 28, 2017. He supports allowing people to remove their names but questions whether third-party opposition groups should be allowed to gather such letters and forms. Instead, he suggests perhaps requiring disillusioned petition signers to send in their own notarized request letters to county clerks. Davis proposes an alternative: warning voters at the time of signing that their name cannot be removed if they have second thoughts. Beckham says his Keep My Voice group found that many people who signed the Count My Vote petitions contend they were duped by paid signature collectors. He favors reforms to help ensure people know what they sign. For example, he would like to require giving petition signers a receipt showing what they signed and when (which Morgan at Count My Vote also likes). He also wants to allow voters to search state databases online to see if they are listed as signing a petition. 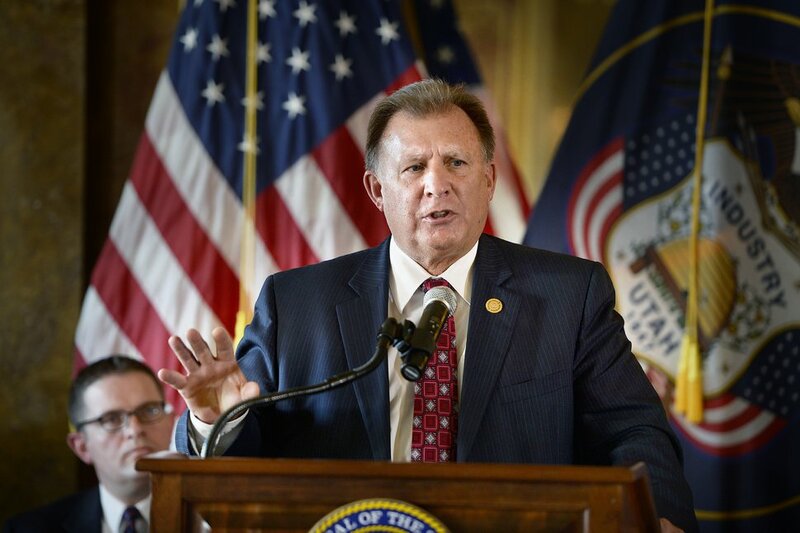 Morgan noted that the Utah County Clerk’s Office neglected to process 105 signature packets with thousands of names — an oversight later discovered by the Lieutenant Governor’s Office and corrected. “Our initiative still has several outstanding and missing signature packets that still need to be processed containing hundreds of names,” Morgan maintains. He believes many other signatures were improperly rejected because of errors in county clerk offices. Even if an initiative group jumps through all the hoops and voters approve its proposal, Utah law allows the Legislature later to tweak it or even discard it — although that could cause a backlash from voters. 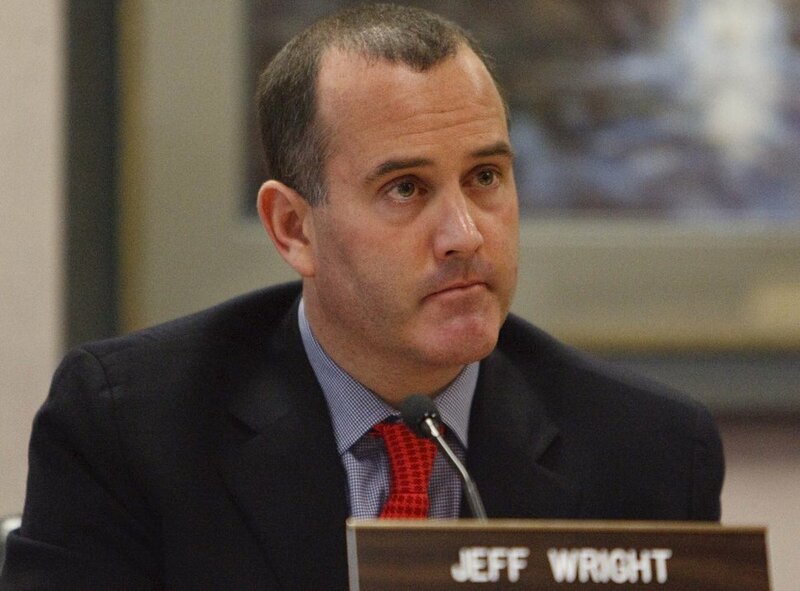 “That’s our biggest concern right now,” says Wright with Better Boundaries. Courts could force changes. Legal challenges to parts of the law have been filed by a group opposing the medical marijuana initiative and by Keep My Voice. Count My Vote plans to sue to try to get its initiative on the ballot. (Scott Sommerdorf | The Salt Lake Tribune) Sen. Curt Bramble, Gov. Gary R. Herbert and industry leaders formally announced the state's pathbreaking net metering agreement for residents with solar panels and discussed what the outcome means for Utah's energy future, Wednesday, October 4, 2017. After watching initiatives this year, Bramble concedes that courts could see the combined effect of high signature requirements, geographic requirements, easy rescission rules and errors by county clerks as being too restrictive. “Taking all those things combined,” he says, “the courts may find that it doesn’t give the citizens the right to petition” as guaranteed by the Utah Constitution. Still, he says, “A high burden is appropriate” to make sure voters are not deluged with proposed laws normally handled by legislators.